Morrissey Pens Open Letter on Thatcher Media Coverage, Accuses British Government of "Dictatorship Tactics"
There was some initial confusion regarding Morrissey's thoughts on Margaret Thatcher's death, with an old quote widely being reported as a new story until the former Smiths singer released a new (and slightly less vitriolic) statement. Now, Moz has once again spoken out on the former British prime minister's recent passing with an open letter, entitled "Surely How I Feel Is Nothing?" 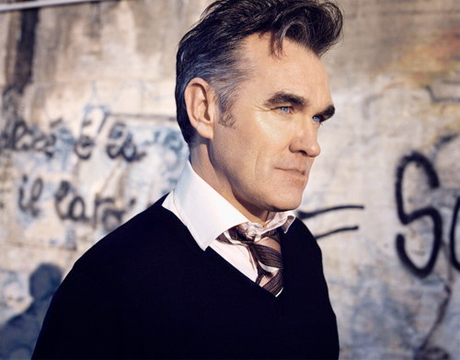 Much of the statement concerns media portrayals of Thatcher's death, and Morrissey criticized the BBC's banning of "Ding Dong the Witch Is Dead" from its airwaves. He observed that the British media has been critical of those who continue to decry Thatcher, and he compared the reporting to Libya, China and Nazi Germany while accusing the government of employing "dictatorship tactics." He also reminded us of Thatcher's divisive time in office, calling her "the Thatcher Destroyer" and sneering at the alleged "lip-smacking relish" with which she enacted her policies. He observed, "Even in death, Thatcher remains 'the enemy within.'" Read the full statement on the following page [via True to You].